NVIDIA, Where is the Damn NVIDIA Spot Already? We have seen some cool tech surface in 2017. From all-display phones to Pixel Buds and the Google Assistant built into more and more devices, it’s hard not to find something to purchase that will likely blow your mind and instantly make your life easier. But still to this day, I have to admit that one of the coolest items I saw this year first arrived way back at CES in January during the event’s opening keynote. I’m talking about the NVIDIA Spot, the little Google Assistant-powered wall plug that has yet to go on sale for reasons we have yet to figure out. Before we dive in, let’s recap Spot. 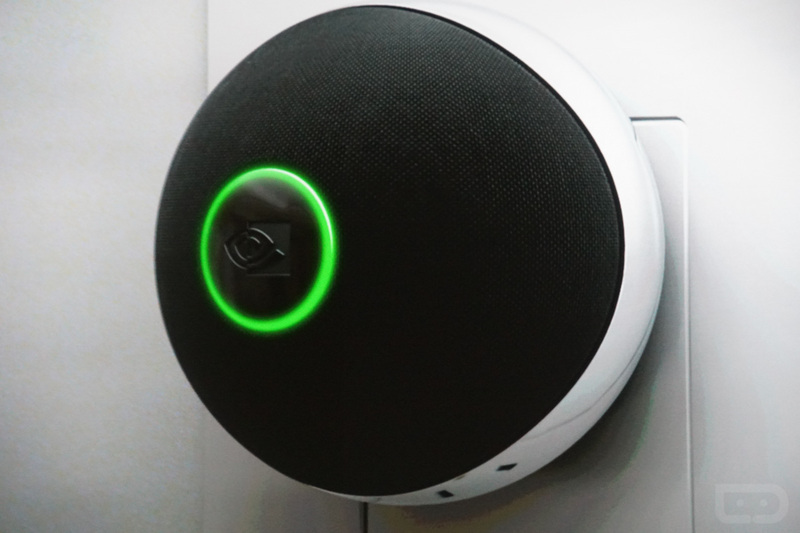 NVIDIA Spot is a $49.99 circular wall plug with a speaker and microphone that has access to the Google Assistant. Think of it as a mini Google Home that’s even smaller than the Google Home Mini and plugs directly into an outlet without the need for a cable or extra shelf space. 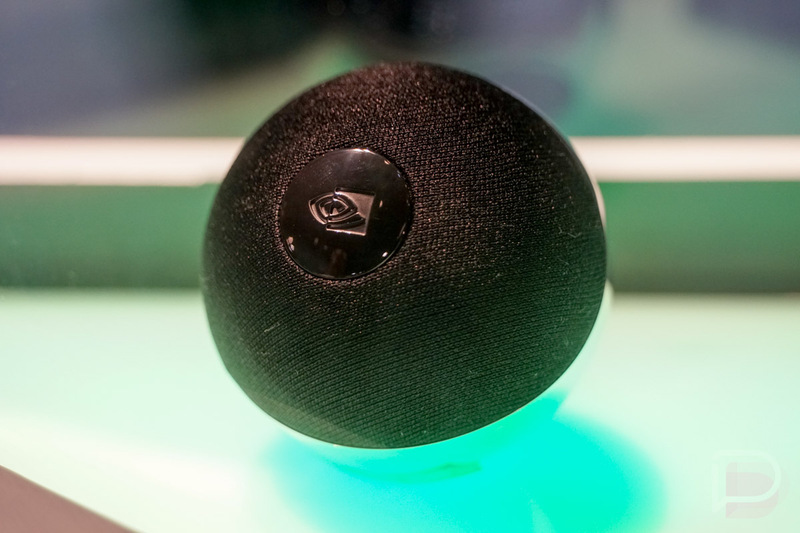 NVIDIA explained it back in January as a “tiny microphone” with “far field processing” and “echo cancellation” that doesn’t have to do any heavy lifting because it sends signals to and from a SHIELD TV unit that does all of that for you. In other words, the NVIDIA Spot just relays information to you wherever it’s plugged. That make sense? I was so excited about Spot (and still am) out of the gate because as someone who continues to tweak my smart home setup, this seemed like the perfect add-on. Rather than putting $130 Google Home units in each room that all need a shelf or desk or nightstand to sit on, I could instead have $50 Spots everywhere that hide in the open through an outlet. Spot would then give my entire house access to Google Assistant to control things like music or lights or thermostats or cameras at a fraction of the price. 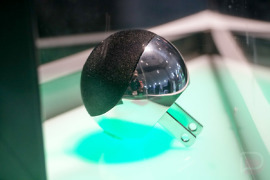 At the time, NVIDIA showed off this vision for the future of SHIELD as the ultimate hub for your smart home. They not only unveiled a revamped SHIELD TV unit and Spot, they also talked about a specially made SmartThings dongle that would plug into the back of SHIELD units to aid in smart home control. As you all know, that product has now been released as the SmartThings Link. The other piece of the puzzle was Google Assistant launching on Android TV, and yes, that has now happened too. If you look at the progress we’ve made, the only item left we are waiting on is the NVIDIA Spot. So where is it? Well, we don’t know. Has NVIDIA cancelled it or is it still coming? It’s still on their website with a “Notify Me” button next to it, so that’s at least a positive. As for the official word from NVIDIA, Tim has reached out to them on multiple occasions and they haven’t said much in recent months other than there is nothing new to update us on. We’ve reached out again and will update this post if we hear anything meaningful back. Of course, we now have Google Home Mini and other third party Google Assistant device options that are both affordable and probably more powerful as standalone devices than that original NVIDIA Spot concept from CES. As I mentioned above, the Spot they showed off at CES was supposed to connect to SHIELD for processing and smarts and to create a sort-of-WiFi-web around your house that was filled with Google Assistant. One has to wonder if the delays in Spot were not just related to Google Assistant rolling out, but maybe to NVIDIA re-thinking the hardware and how it might interact instead of just being a WiFi spot with a microphone. Or maybe they realize now that a price reduction from $50 is essential and that’s taking extra time. Or maybe, just maybe, the slow arrival of Google Assistant to Android TV and third party devices has really been the reason for Spot silence? All I know is that I still want NVIDIA Spot, even as I’ve slowly added Google Home units here and there and as our phones have picked up the ability to do all of the Assistant stuff we need anyway. Who couldn’t get some use out of a Spot plugged into a bathroom outlet as you take care of morning business? Tuesday Poll: Does Your Phone Need to be Water Resistant?